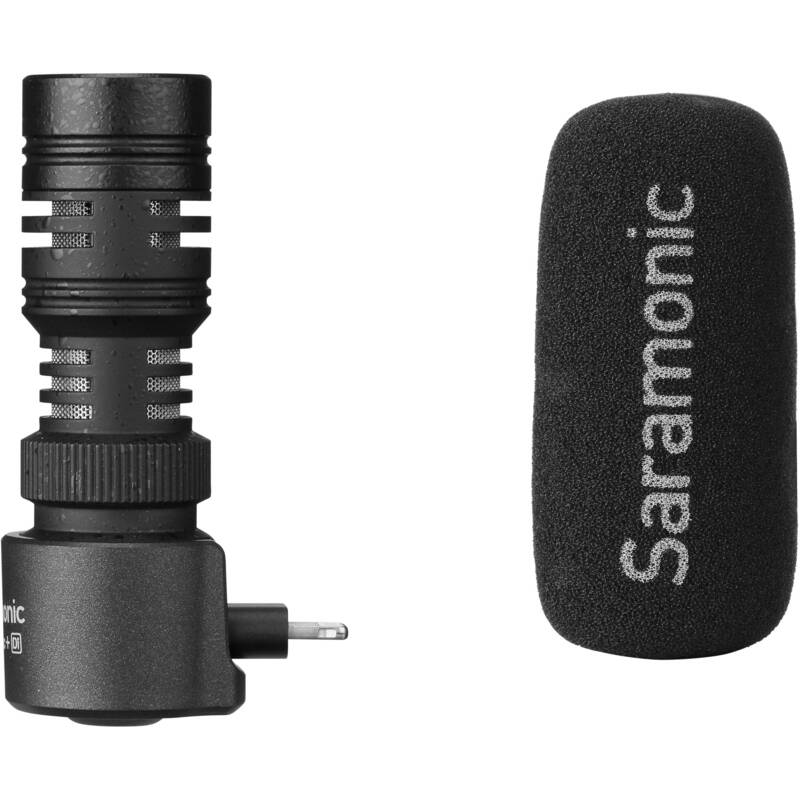 Record broadcast-quality sound straight to your iOS smartphone or tablet with the Saramonic SmartMic+ Di; a compact directional microphone that connects directly to your mobile device's Lightning port without the hassle of cabling. Ideal for vlogging, live streaming, and mobile video production, the SmartMic+ Di features a lightweight and durable metal housing, which can be oriented to match the direction of your front- or rear-facing camera. Thanks to its plug-and-play design, this mic requires no batteries or charging; just plug it in, open your favorite recording app, and then go! The condenser capsule delivers a tailored-for-speech frequency response of 75 Hz to 20 kHz, and utilizes a cardioid polar pattern to provide focused sound pickup with reduced ambience. To attenuate wind noise and protect the mic from dust whether shooting indoors or outside, foam and furry windscreens are included. In addition to the Lightning male plug for connecting to your recording device, the SmartMic+ Di has a 3.5mm TRS headphone port, allowing you to monitor audio without having to disconnect the mic. Box Dimensions (LxWxH) 6.6 x 4.2 x 1.6"